As a first step in Belgium’s privacy reform, a new law was published today setting up a Belgian Data Protection Authority (replacing the current Belgian Privacy Commission) in anticipation of the future applicability of the General Data Protection Regulation (GDPR). With this law, the Belgian Data Protection Authority acquires substantial investigative and judiciary powers, as well as new bodies which will be able to impose the sanctions introduced under the GDPR. While the GDPR will provide for a greater degree of harmonization than the current regime , there are approximately 50 possibilities for Member States exceptions, additional requirements or specifications to the GDPR (e.g. in terms of processing of HR data, minimum age of children for consent, situations where a DPO is mandatory). These will be the subject of a separate piece of legislation, for which no draft is currently available. Following up on our earlier post in September, we have meanwhile been informed that the Federal Government has ultimately decided past weekend to cancel the proposed introduction of an optional mechanism to subject professional leasing to VAT for notably budgetary reasons. We believe this is highly unfortunate. The introduction of such a system could have drastically improved the competitivity of professional tenants towards foreign competitors and could have affected the real estate market on various fronts. Importantly, the system would have eliminated the need for complex structures to make the VAT-system applicable to a priori exempted transactions. Notwithstanding the above, it cannot be excluded that the Federal Government may still introduce more minor changes to the existing real estate VAT regimes such as regarding the putting at the disposal of storage facilities. The discussions regarding these matters is still ongoing and other initiatives may still be developed. Our Tax practice will keep you up date regarding these evolutions via our News section. Bruno De Duve, who leads our Tax practice group, & Helene Mulier, summer intern, discuss in depth the recent legislative initiative of the Belgian Federal Government to allow the possibility to subject to VAT the mere letting of an immovable property to a business subject to VAT as of 1 January 2018. This draft bill may drastically improve the competitivity of professional tenants towards foreign competitors and may effect the real estate market on various fronts. Emmanuel Szafran and Florian De Rouck going in depth on GDPR implementation with Verhaegen Walravens’ partner Approach during a lunch seminar. Our strong legal expertise in personal data protection and GDPR compliance combined with Approach cyber security and risk management expertise makes it a unique value proposition for our clients. Jacques Verhaegen & Daria Likhatcheva assisted cybersecurity specialist Approach with the acquisition of TInSys (Total Integration Systems), a Belgian software development company specialising in mobile apps and the Internet of Things (IoT). 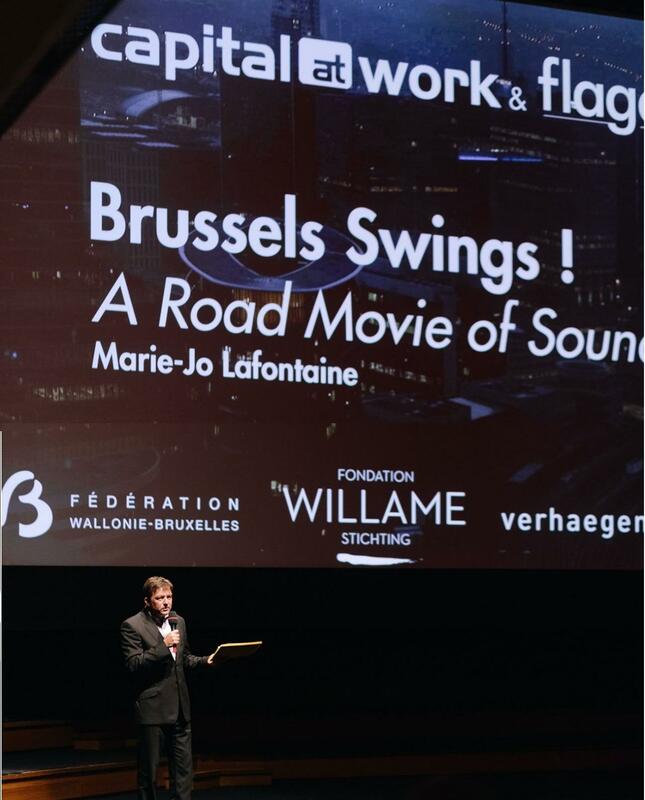 Verhaegen Walravens co-sponsored Flagey and Marie-Jo Lafontaine’s newest film “Brussels Swings ! A Road Movie of Sound”. The inaugural private viewing of the film at Flagey on April 26 was a huge success and received highly positive acclaim. June 2017 – Verhaegen Walravens launches its Russian Desk ! Project manager Daria Likhatcheva, Brussels based Russian speaking corporate lawyer, will accompany Benelux located entrepreneurs doing business in Russia, as well as Russian entrepreneurs doing business in the Benelux countries. Anouk De Graef, VW’s real estate partner, has been appointed Chairman of the Georgia Business Club. The Georgia Business Club is an Antwerp-based real estate platform for constructors, entrepreneurs and the liberal professions. 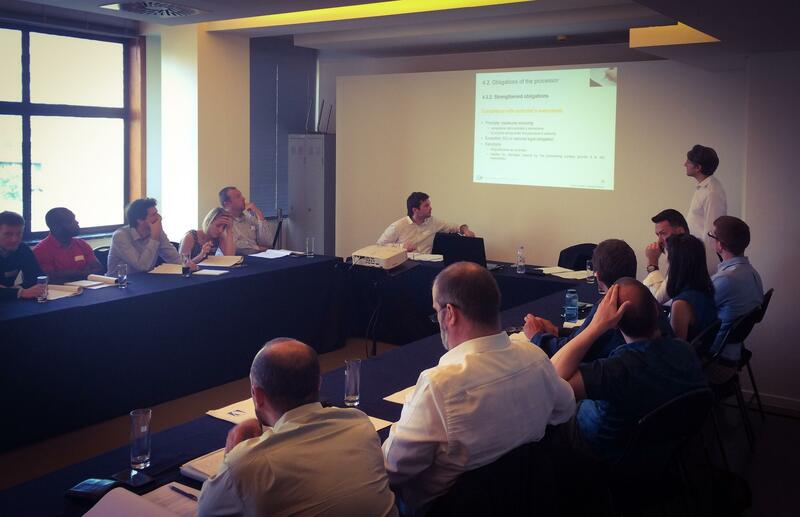 For the time being, Georgia Business Club is composed of 56 members active in various sectors: developers, investors, architects, constructors, real estate brokers, architects, … For all Georgia Business Club’ events, please see https://lnkd.in/gCRT23Z. Need crowdfunding for your ideas or projects? Crowdfunding to invest directly or through starter funds? Or crowdfunding to support not-for-profit initiatives? Our associate, Julie Borgerhoff, offers legal guidance in her book “Crowdfunding”, the first manual on the law related to Crowdfunding.